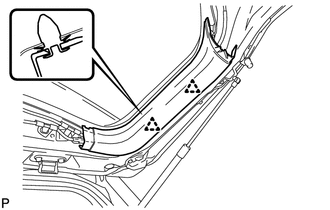 (a) Disengage the 4 clips and 4 claws, and remove the upper back window panel trim. 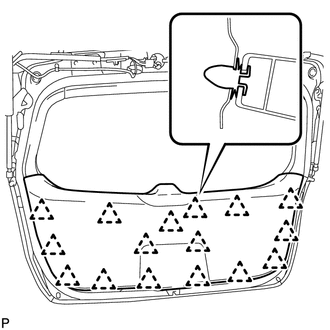 (a) Disengage the 16 clips and remove the back door panel trim assembly. 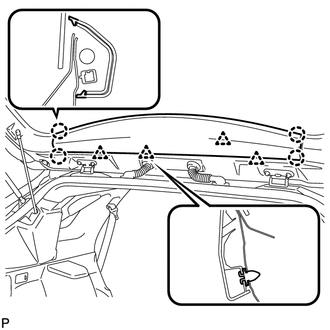 (a) Using a screwdriver, remove the stop ring along the groove. 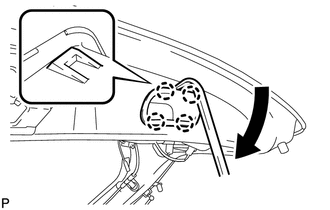 (b) Release the ball joint and disengage the power back door rod. (a) Disengage the 2 clips and remove the back door trim cover LH. 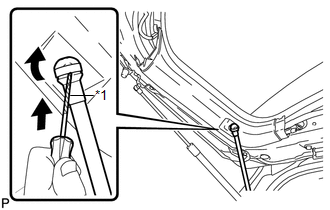 (a) Remove the 2 bolts and upper back door stay bracket LH. 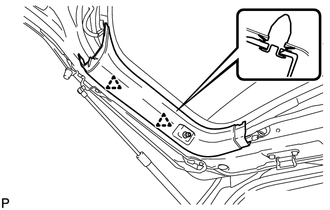 (a) Disengage the 2 clips and remove the back door trim cover RH. 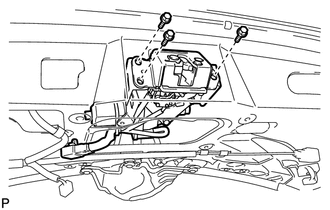 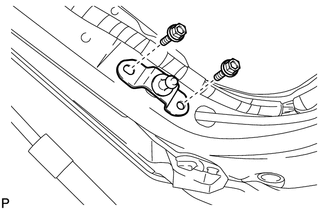 (a) Using a moulding remover, disengage the 4 claws and remove the back door pull handle as shown in the illustration. 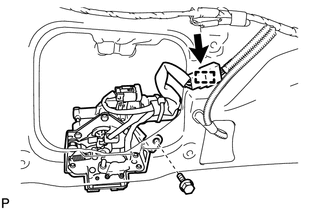 (d) Remove the 3 bolts and back door lock assembly.